If you are a commencing student, you should have a Welcome Pack weaving its way through the post right now with one of our – quite fetching, if you ask me – wall planners. The good news for our returning students is that we also have as bunch of wall planners for you. 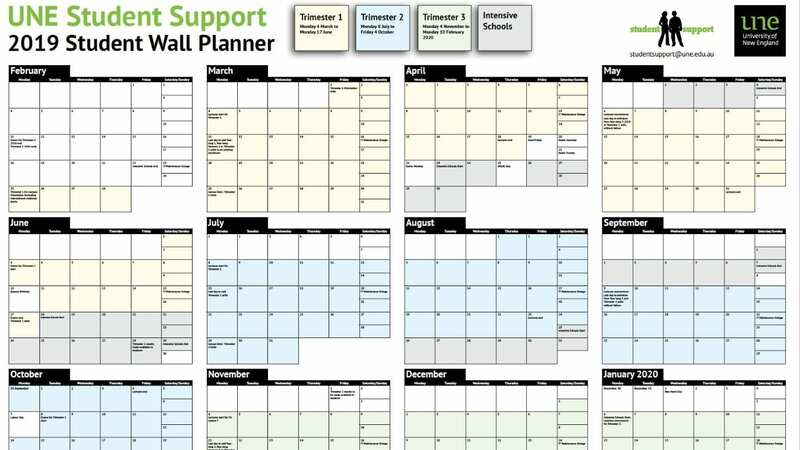 All you need to do is click here to register for a wall planner, and we’ll get one out to you as soon as possible. Please note that the registration process might return an error message on some mobile devices, so we recommend using a laptop or desktop. I can confirm that you have successfully registered for a wall planner through our online form. We will send your planner to you as soon as possible.